Radon is a naturally occurring radioactive gas that is colorless and odorless. According to the U.S. Environmental Protection Agency (US EPA) and the Surgeon General’s Office breathing air which contains radon can increase your risk of lung cancer. It is in fact the second leading cause of lung cancer in the U. S. today. 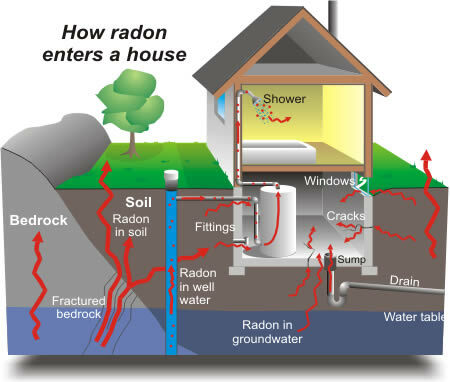 How Does Radon Get in a Home? There are DIY home test kits available in various price ranges or you can have a home inspector do a test. If the home inspector does the test they will leave a box in the basement area of the home for at least 48 hours. The box will collect air samples and homeowners will be instructed to keep doors and windows closed as much as possible during the collection. The home inspector will pick the box up at the end of the test and either the sample to a lab for analysis or download the results from the test box. 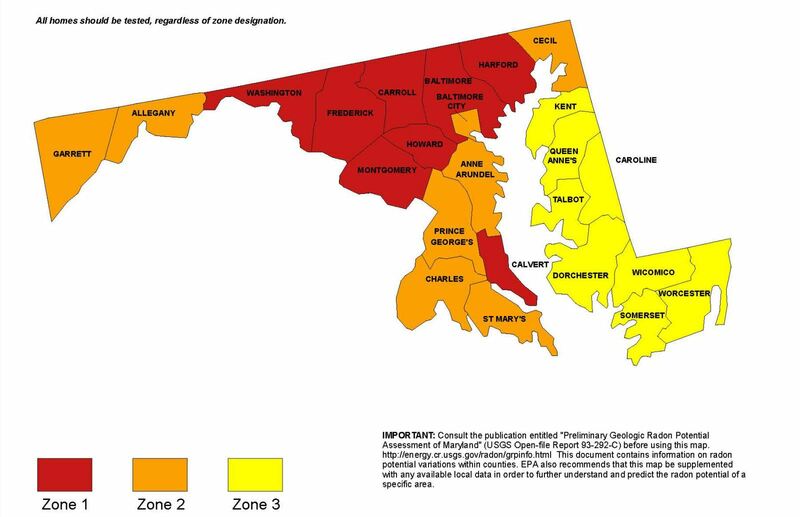 EPA acceptable radon levels are 4 pCi/L or more. Depending on the characteristics of the home there are various methods to reduce radon levels. You can contact a qualified radon mitigation specialist to have a system installed. The cost is between $750 – $1,500 and once it is installed the company should perform a retest and analysis to ensure the levels are below EPA acceptable levels.